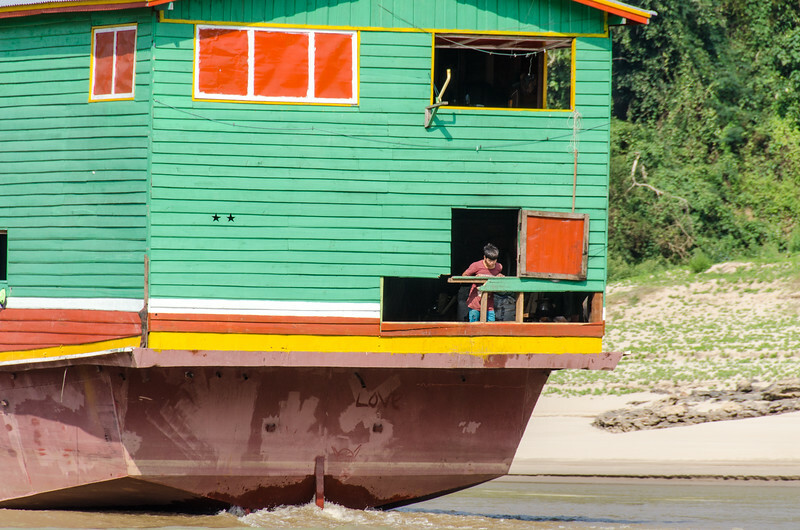 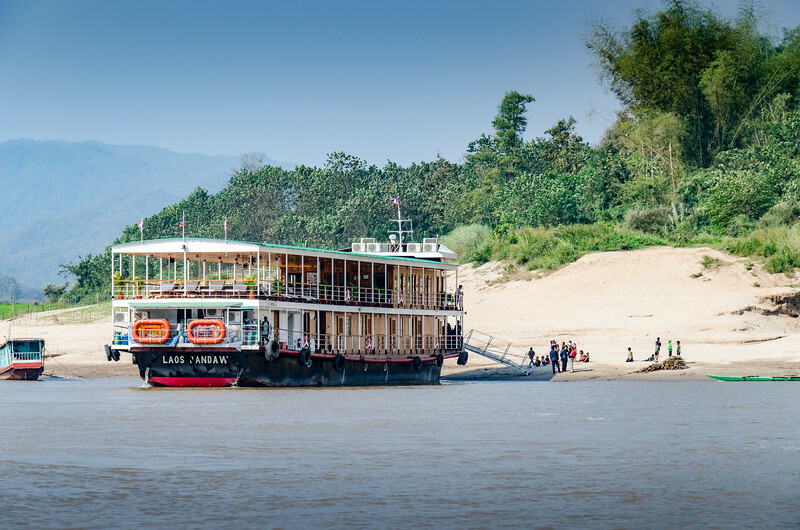 We continue our cruise down the Mekong. 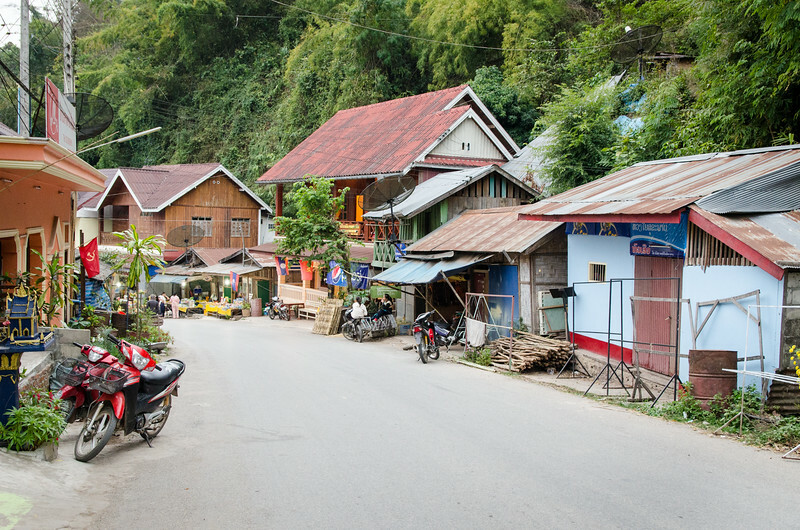 Today we wake up in Pakbeng Village and make our way down the river to the beautiful town and UNESCO World Hertigae site of Luang Prabang. 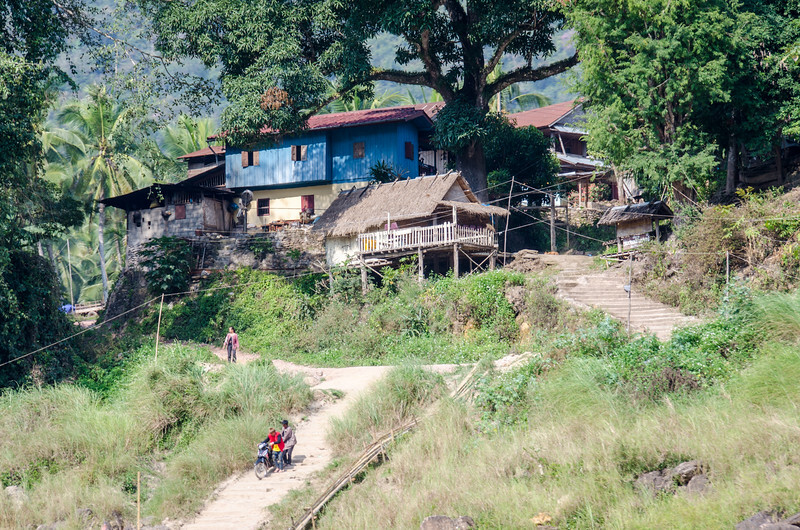 A morning stroll through Pakbeng. 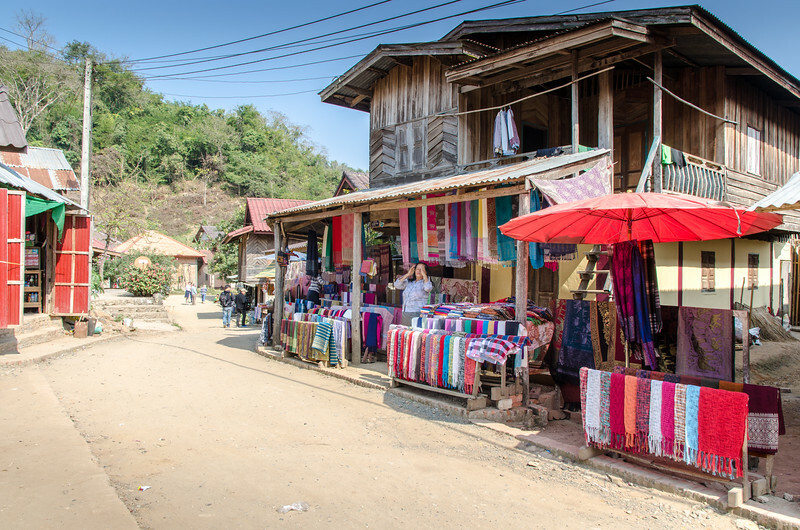 The village of Pakbeng caters to people on Mekong cruises. 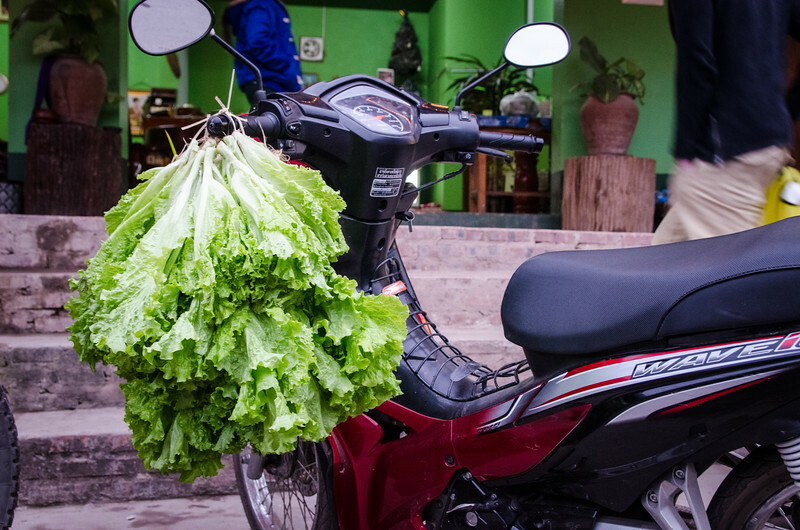 Bringing home some lettuce on the scooter. 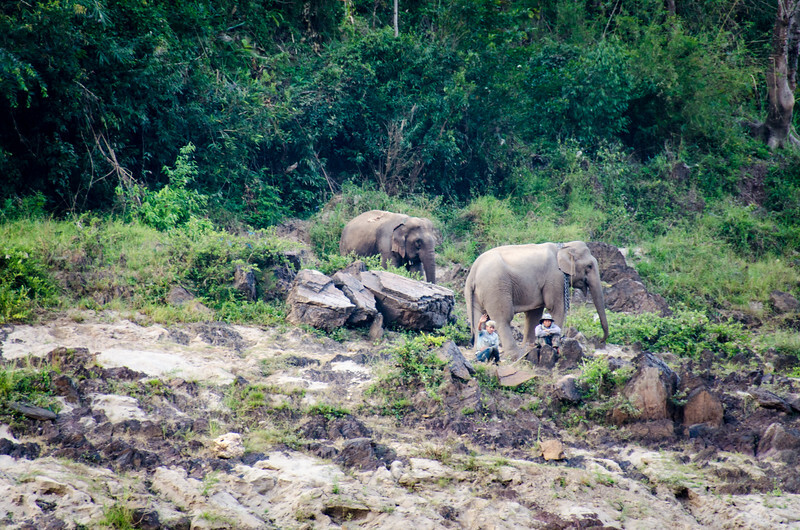 Across the Mekong from Pakbeng two mahouts take their elephants for a morning walk. 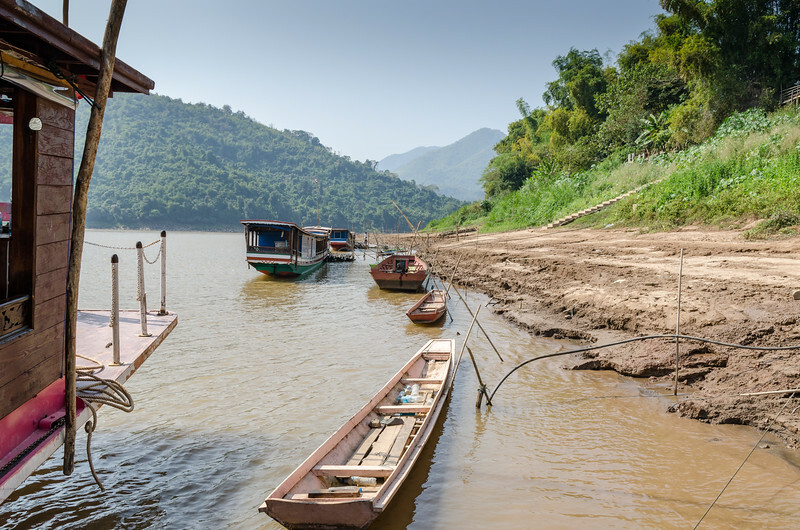 Early morning, looking down at the Mekong riverbank from Pakbeng. 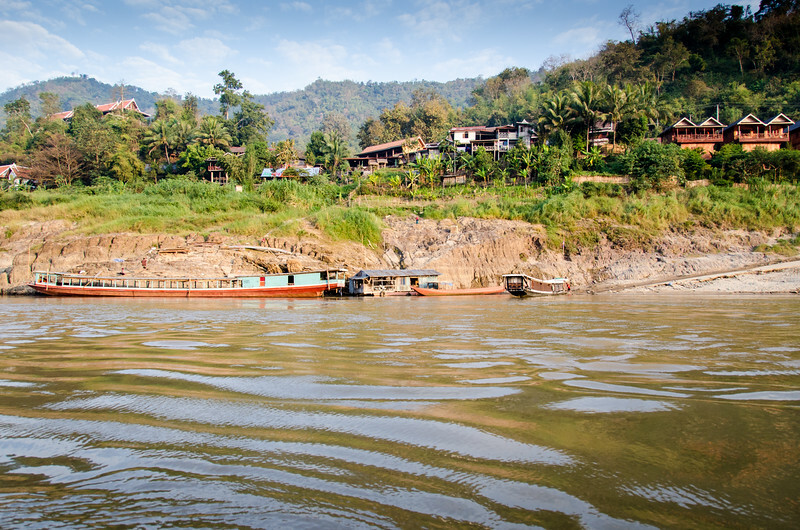 Pakbeng from our boat as we start down the river for Luang Prabang. 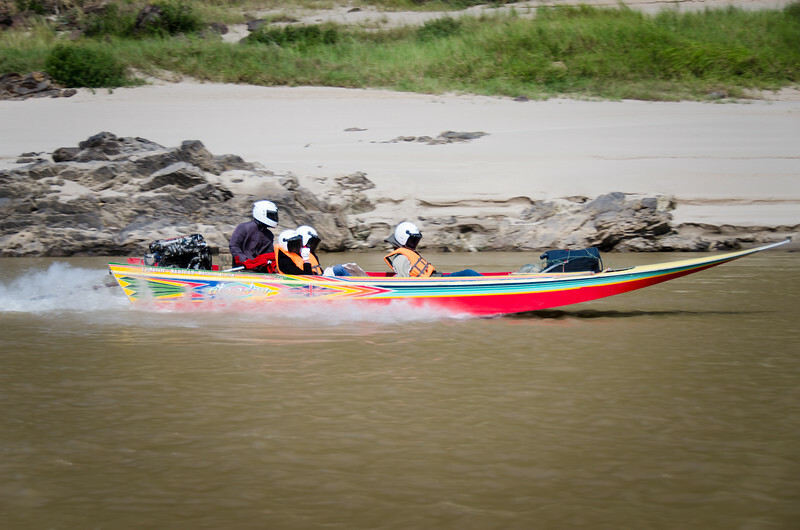 A family in a motorized canoe on the Mekong. 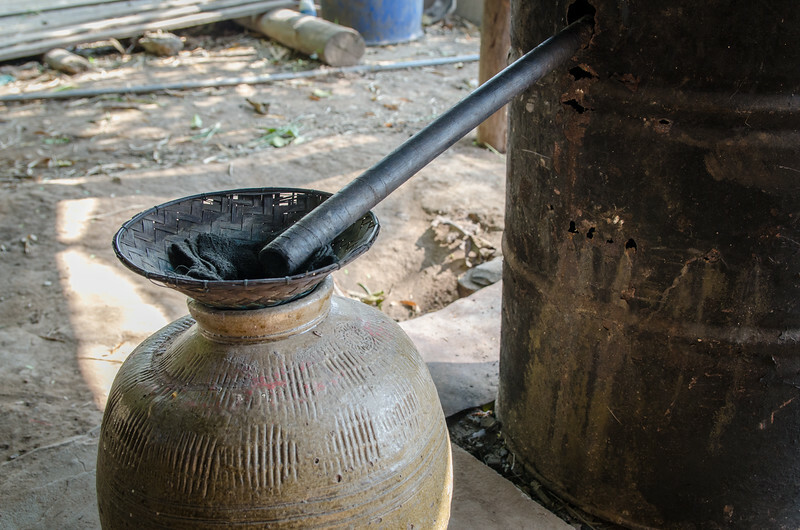 The father is holding the bamboo tiller. 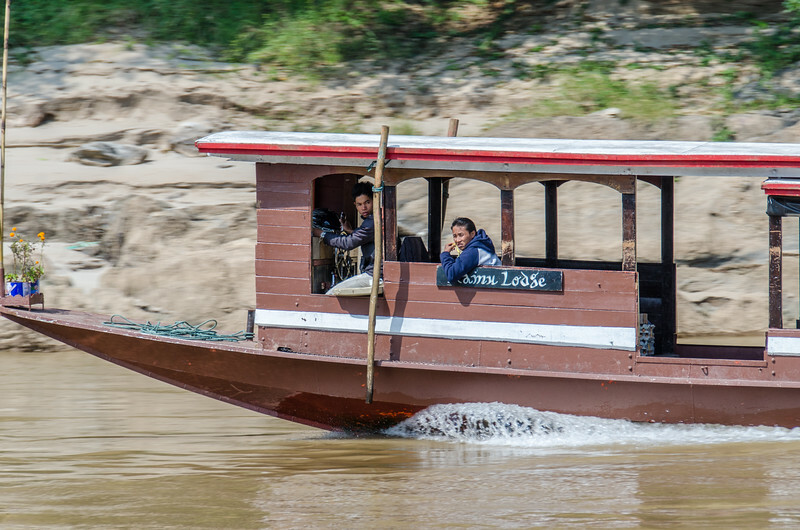 A man enjoys some fresh air from the back of a colorful slowboat. 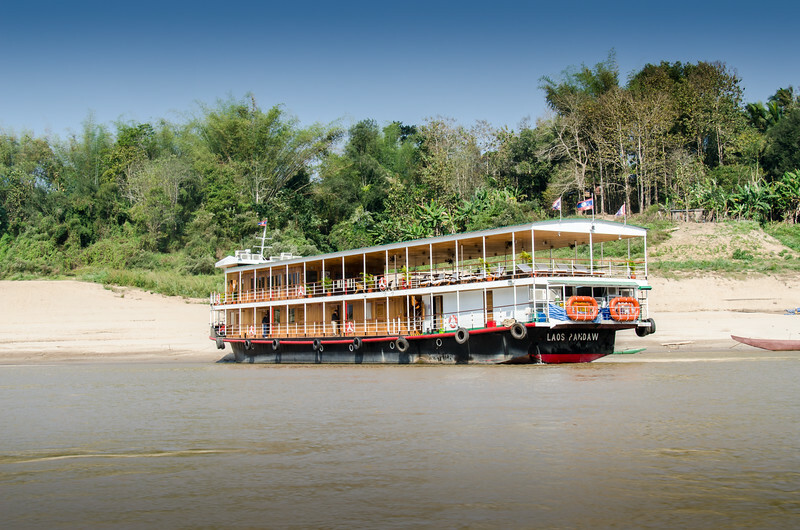 The luxury RV Laos Pandow of the Pandow Cruise Line. 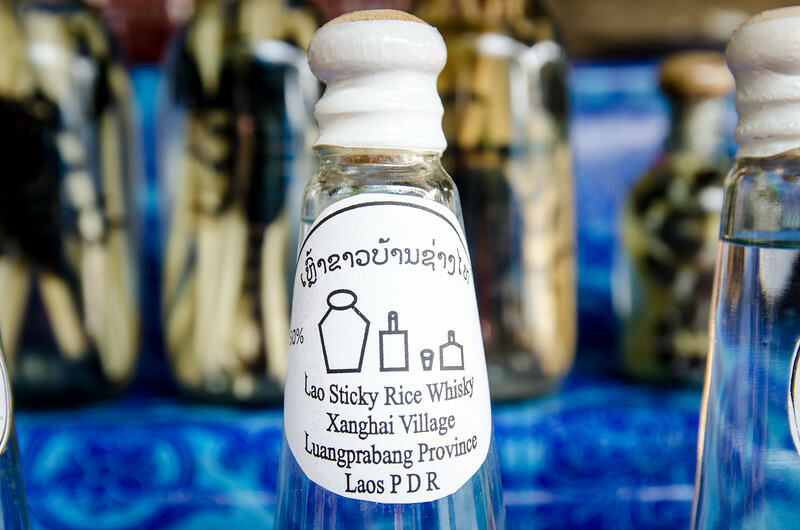 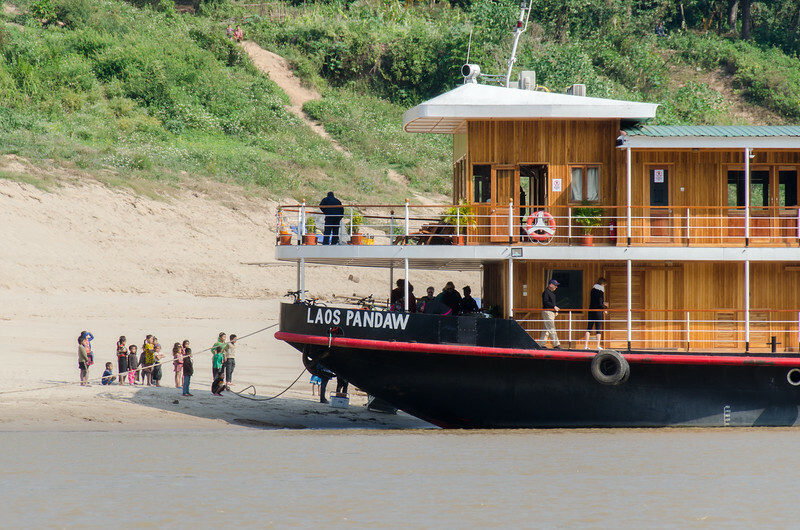 The Laos Pandow was launched in 2015. 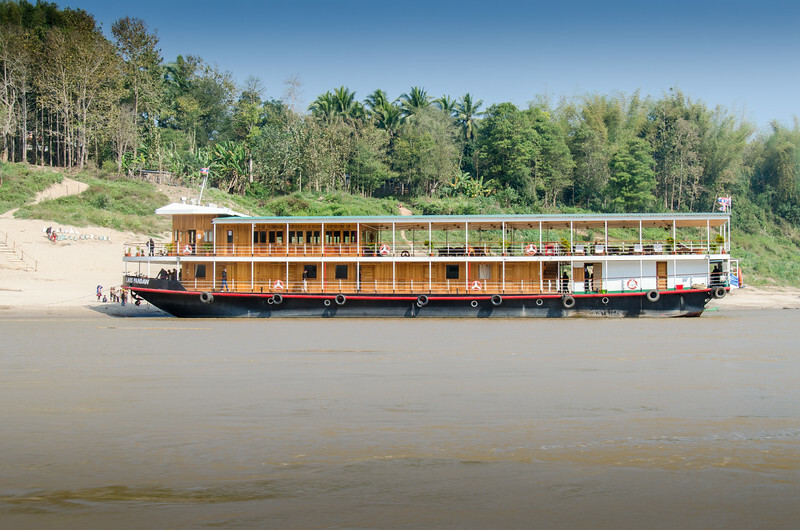 It has 10 staterooms and can carry 20 passengers in luxury. 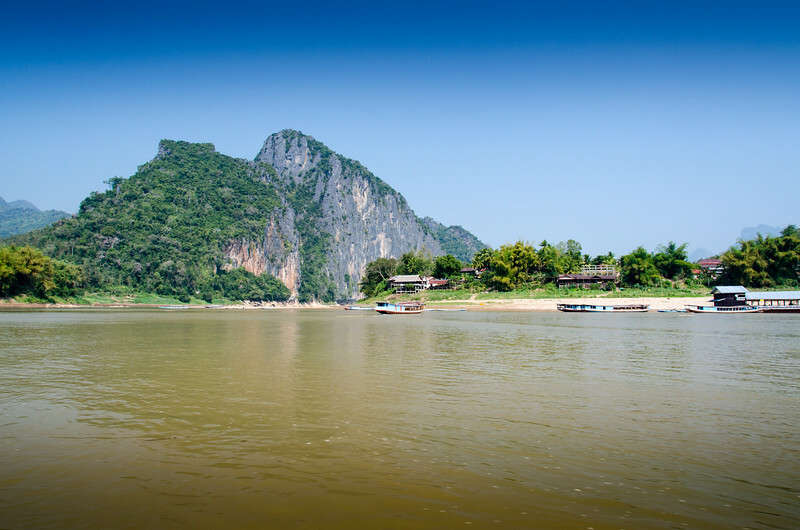 The Laos Pandow nosed into the bank of the Mekong. 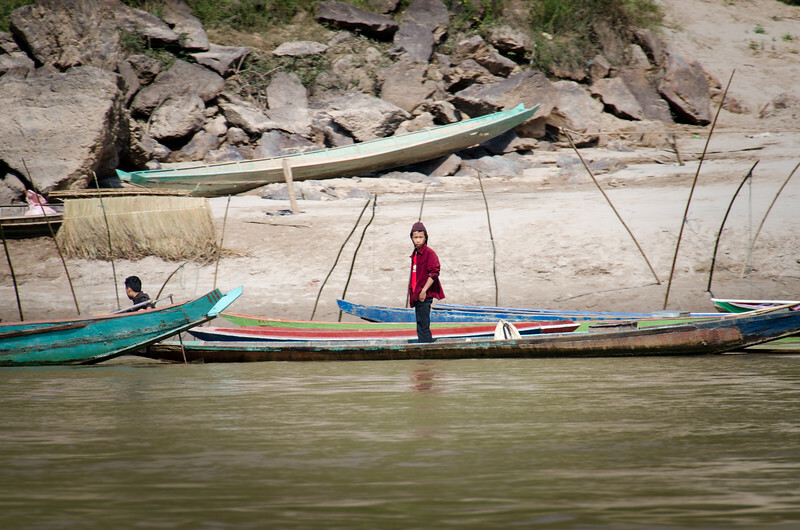 A boy standing in a canoe on the bank of the Mekong. 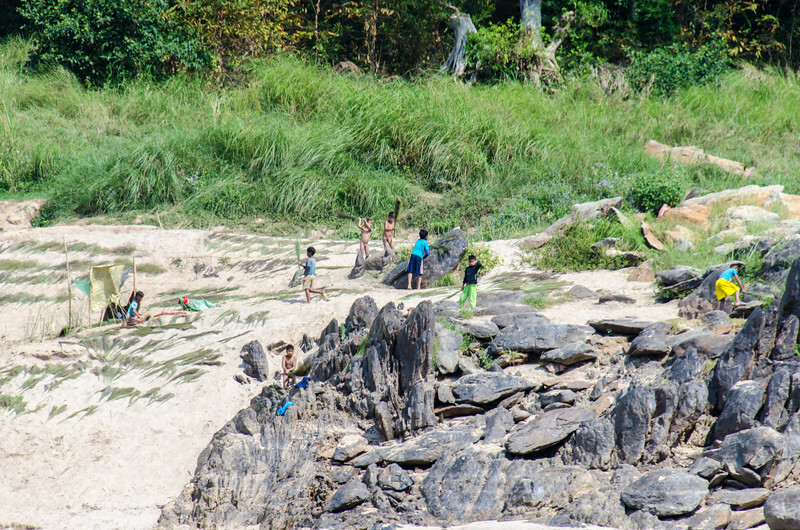 People coming down the hill to the river from a small village. 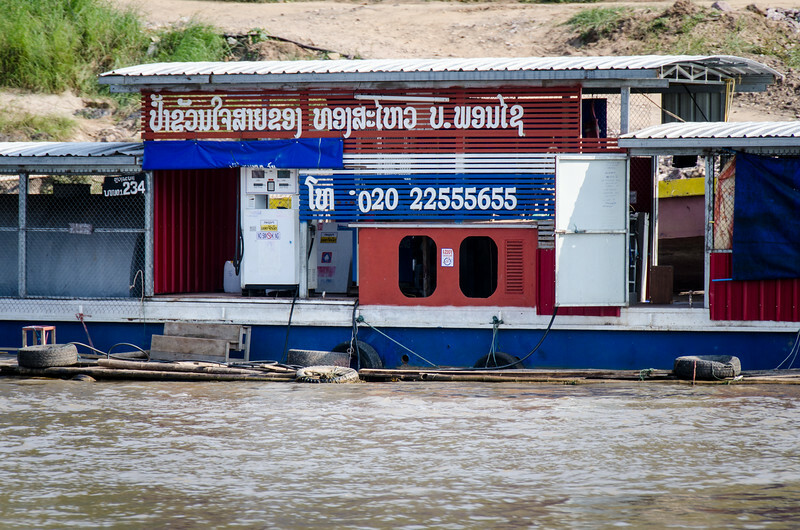 Another one of those crazy Mekong speedboats. 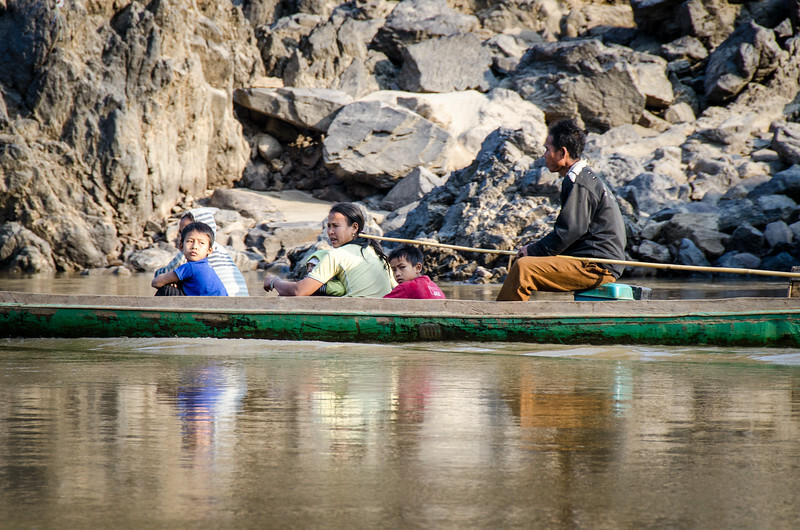 Kids helping to make brooms along the bank of the Mekong. 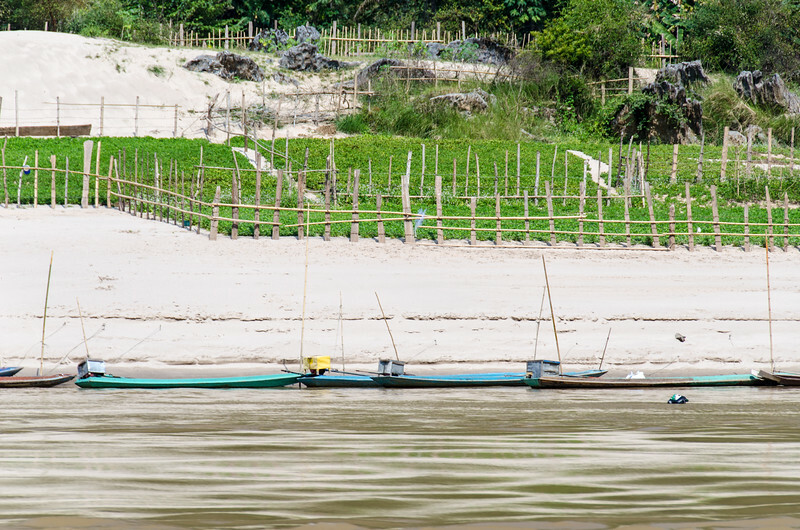 There are many small farms in the sand along the bank of the Mekong. 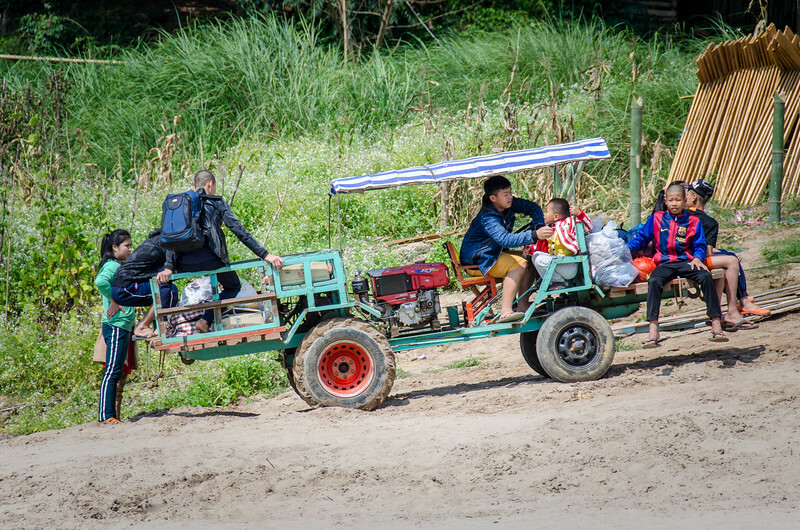 A family uses a tractor to shuttle goods and people up the hill to a small village. 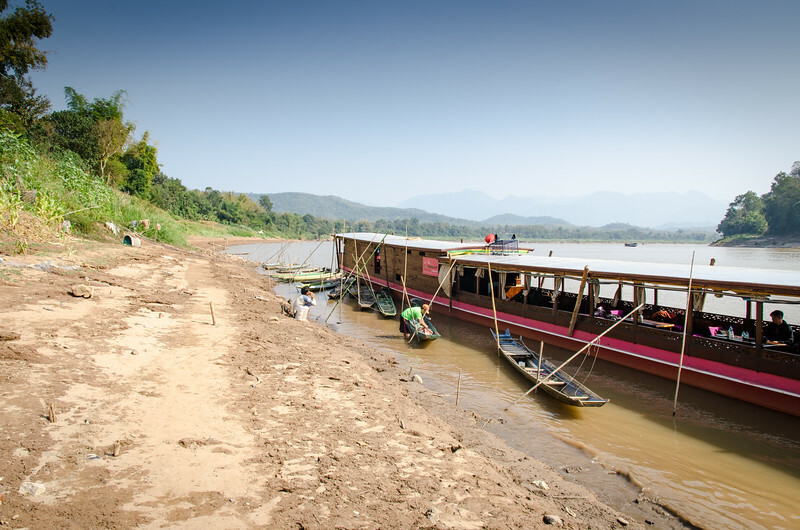 Slow boats shuttle people and merchandise up and down the Mekong. 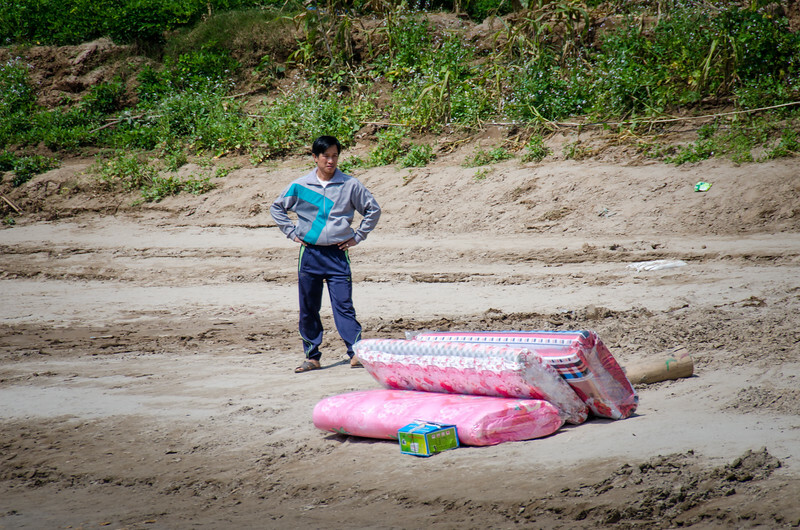 This man has just been dropped off. 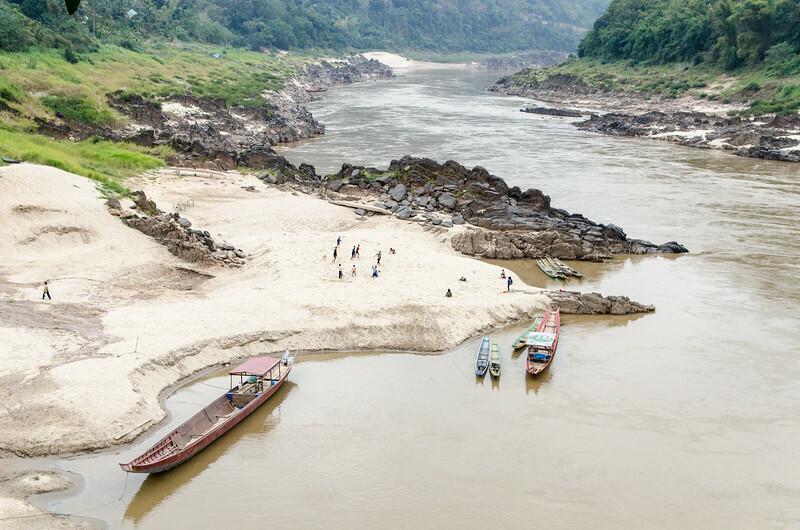 The confluence of the Mekong and the Nam Ou rivers. 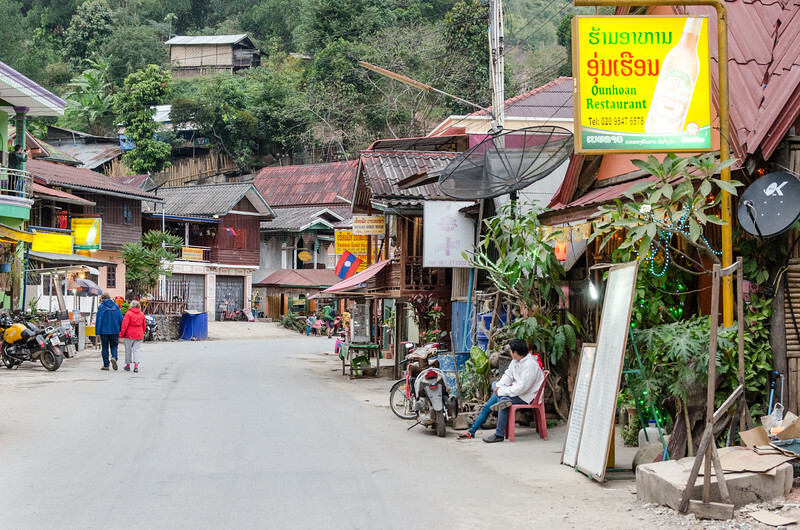 Pak Ou village in the foreground. 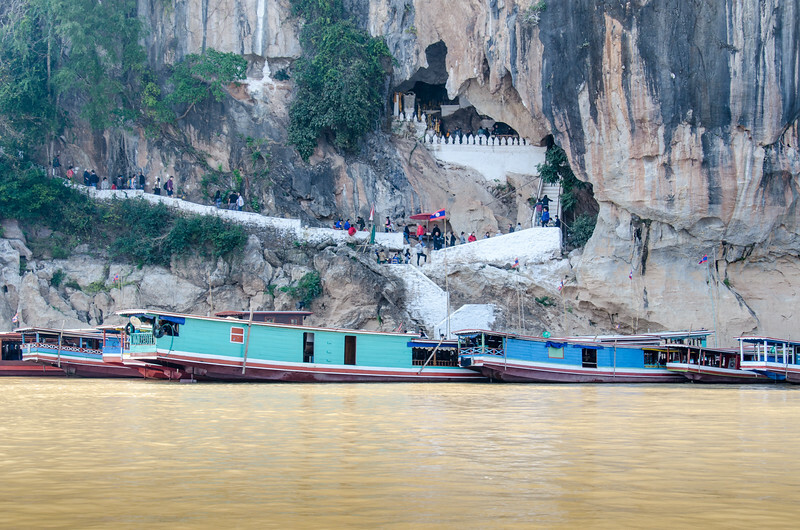 Boats docked at the Pak Ou Caves. 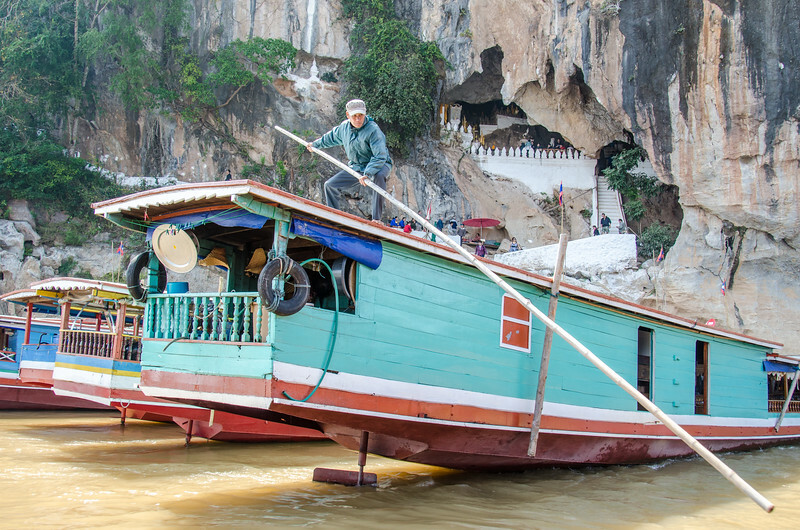 A man prepairs to fend off our boat as we dock at the Pak Ou Caves. 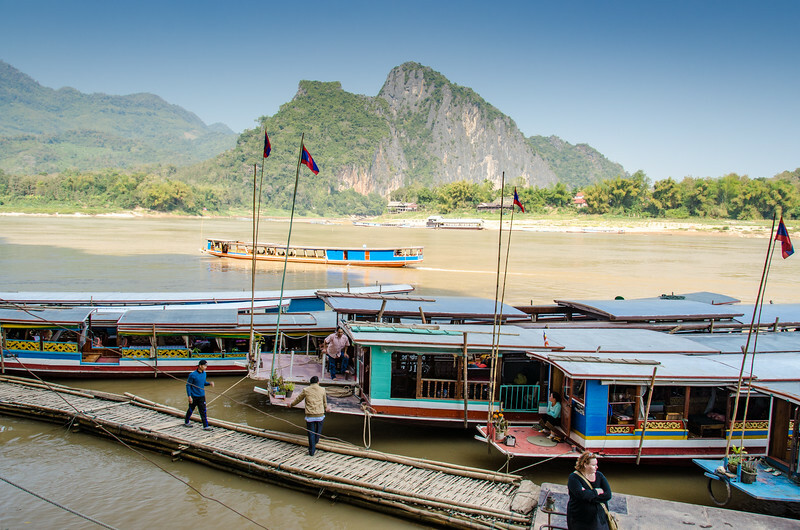 Boats docked at the Pak Ou Caves with Pak Ou Village in the background. 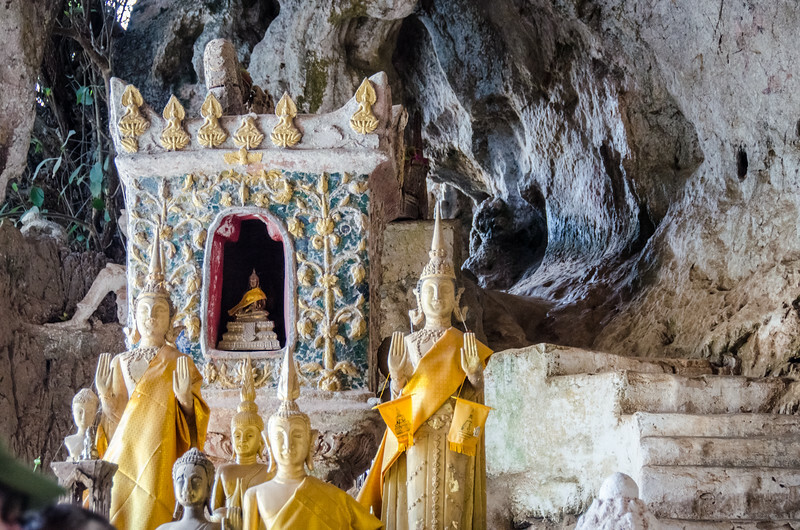 A small shrine in the Pak Ou Caves. 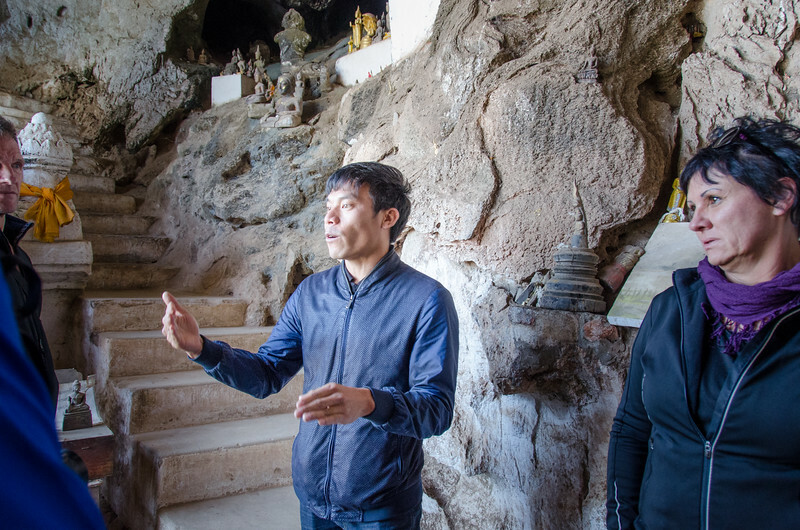 Our guide tells us a bit about the caves. 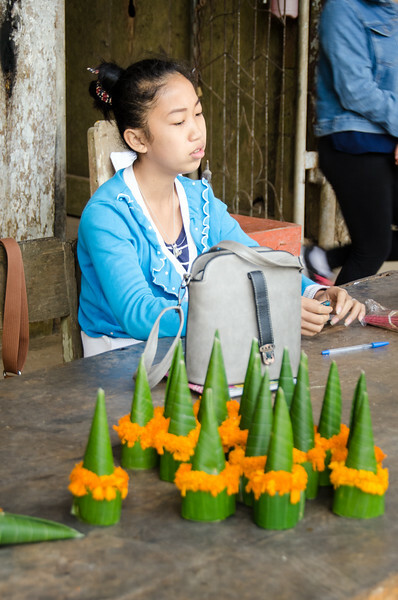 A girl sells offerings at the Pak Ou caves. 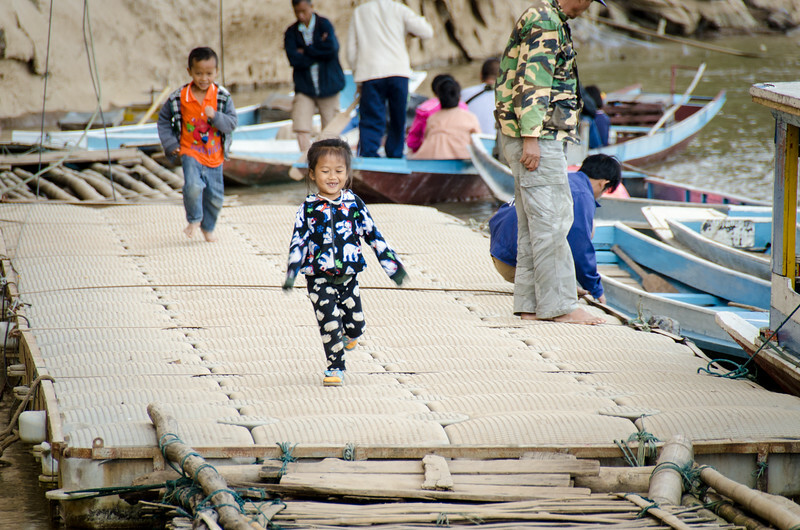 Children play on the dock at the Pak Ou caves. 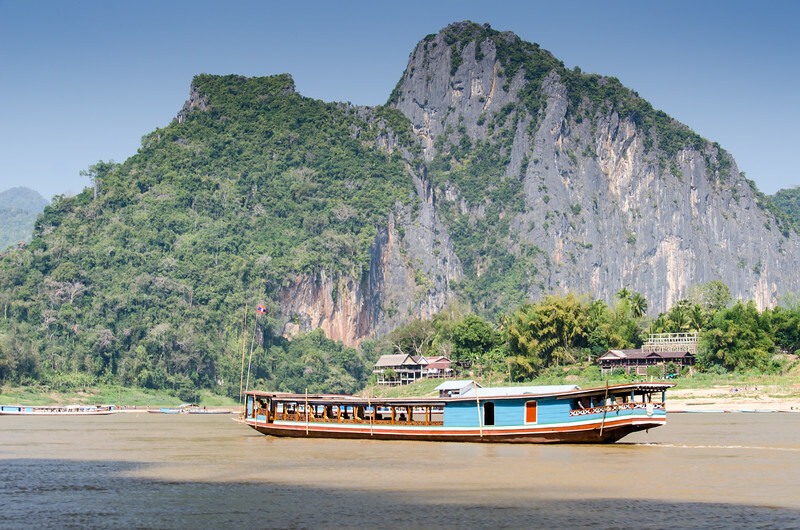 A slow boat passes Pak Ou village. 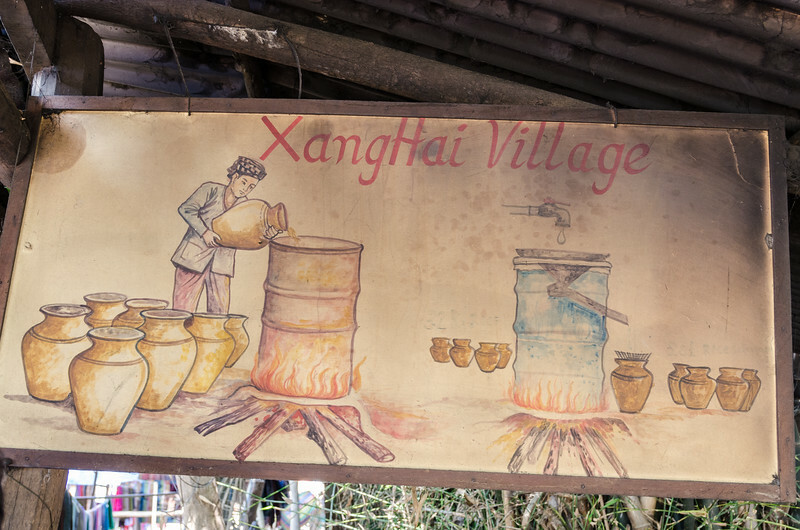 Pulling into the bank at XangHai Village., also known as Whiskey Village. 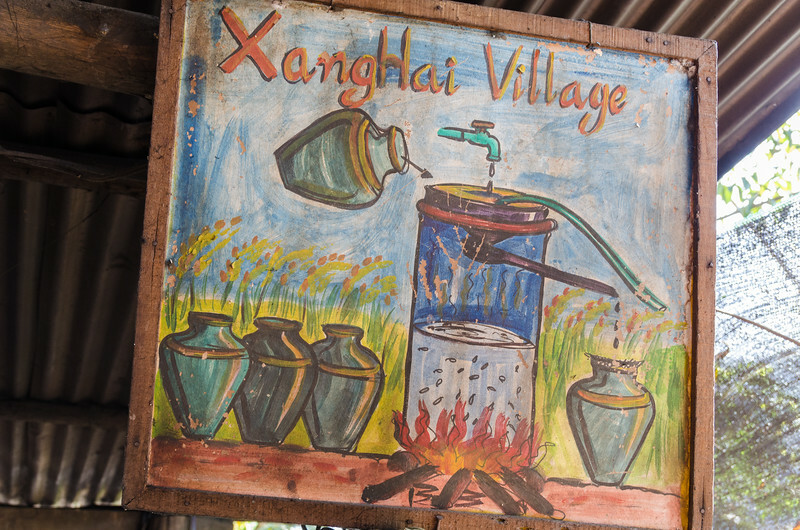 A sign welcoming visitors to XangHai Village. 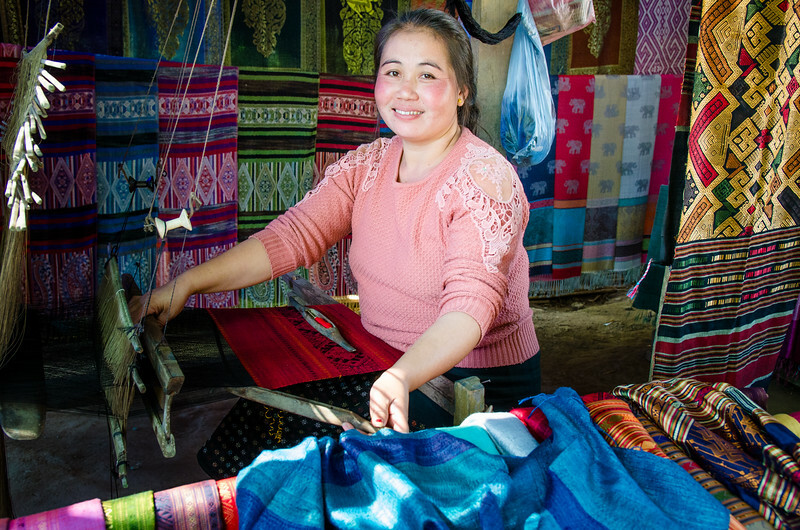 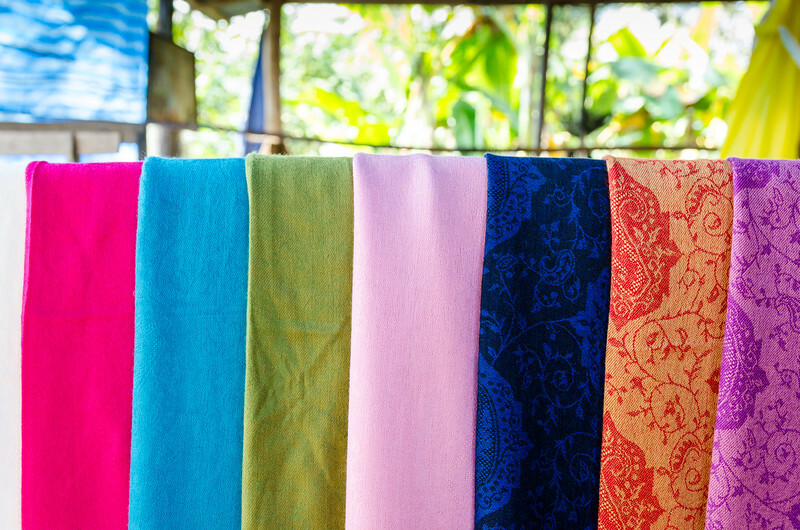 XangHai Village is also known for silk work. 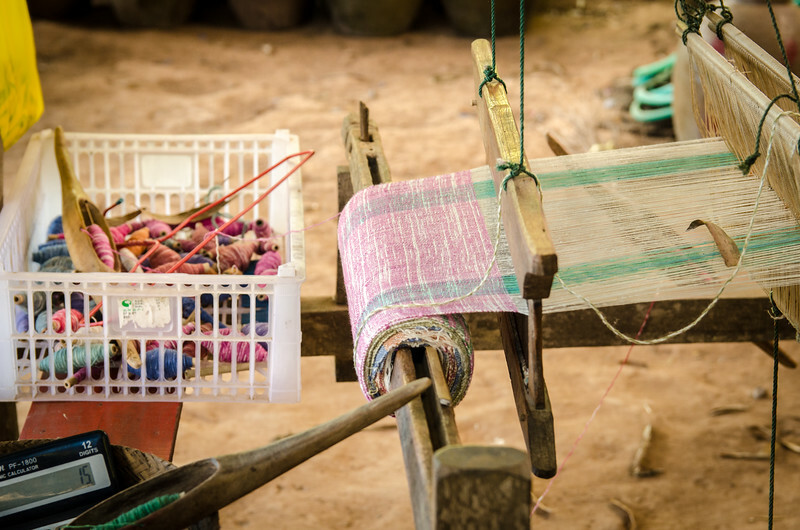 Silk being woven into a scarf on a loom. 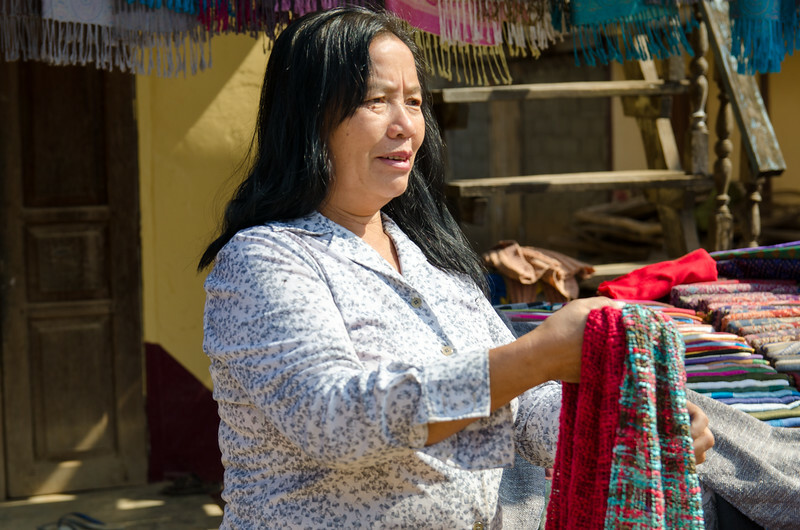 A woman selling silk goods in front of her house. 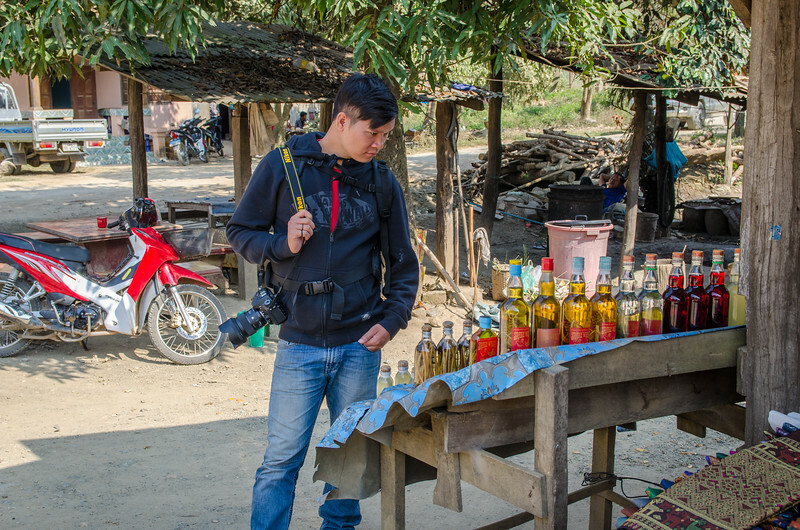 Woot checking out the whisky. 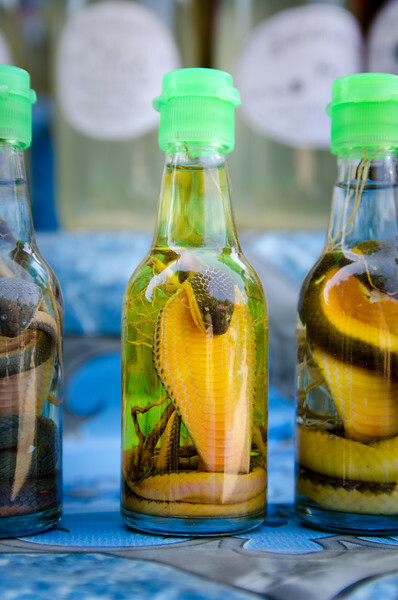 Want a cobra in your whiskey? 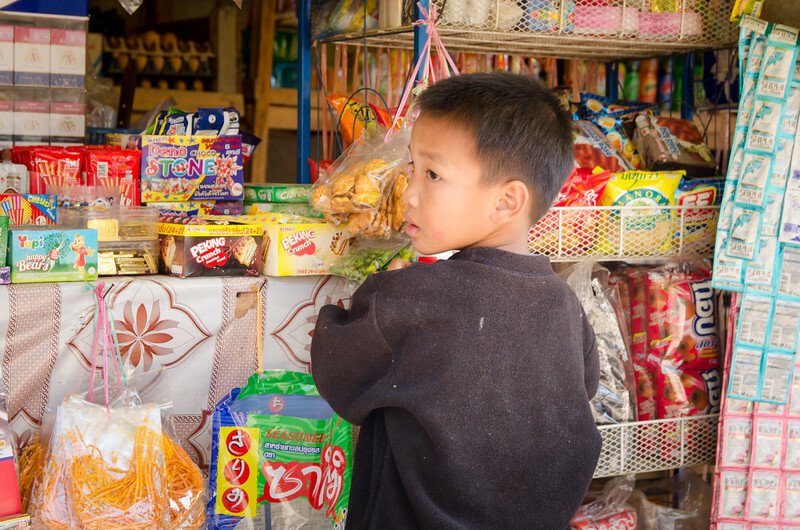 A boy at a shop in the village. 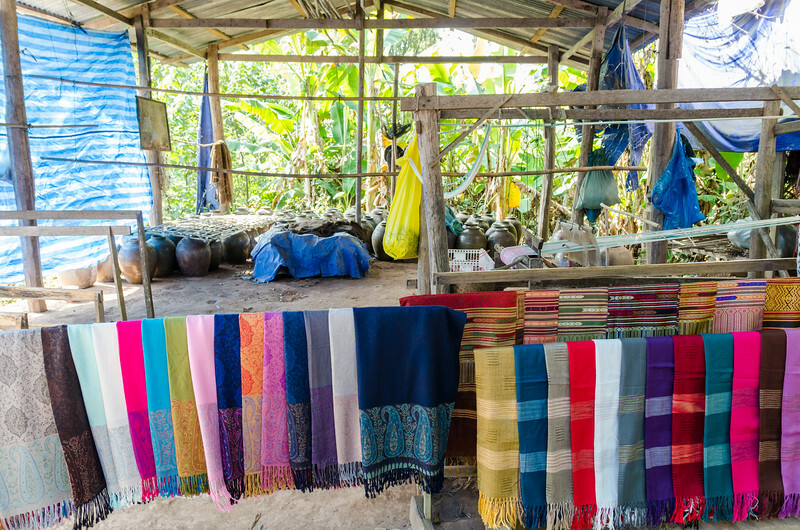 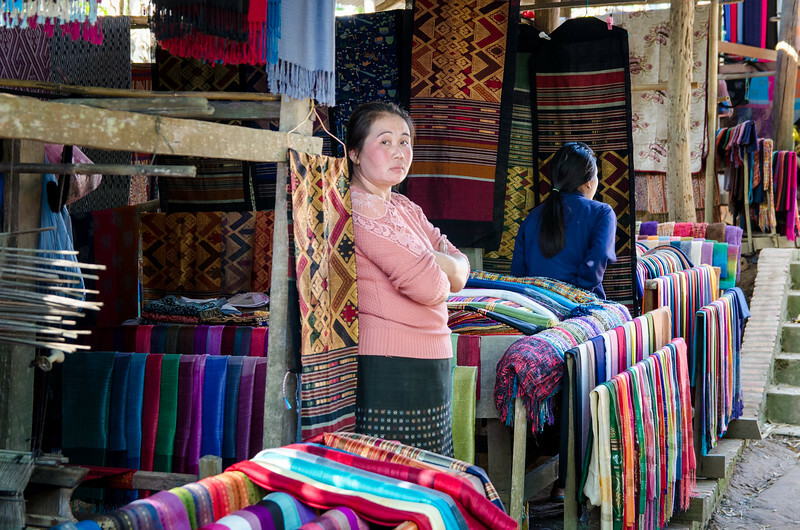 A woman selling silk scarves. 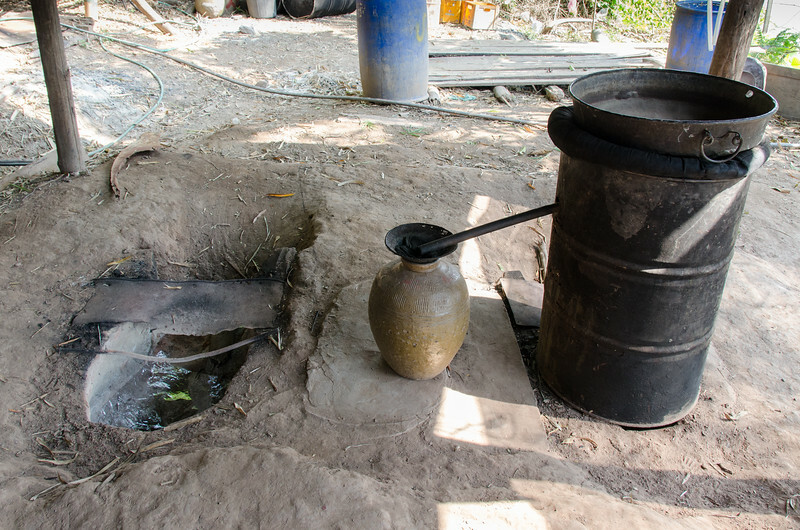 Time to leave the village. 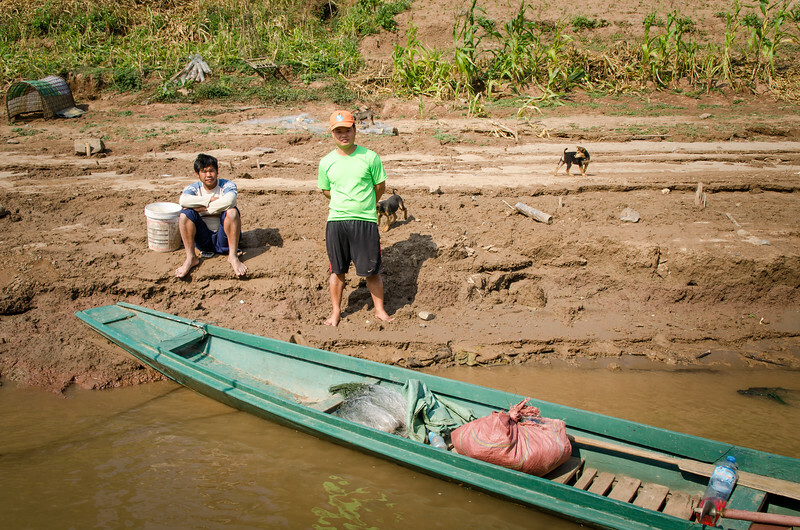 Men and puppies on the muddy bank of the Mekong.